Vodafone has brought a lot of prepaid tariff plans in recent times and the telco seems to be not stopping anytime soon. After launching the cheapest prepaid plan with 84 days validity at Rs 279, Vodafone has now come up with the cheapest prepaid plan with 56 days validity. The all-new prepaid plan, which is available only for select users right now, is priced at Rs 189, and it ships with voice calling and data benefits. That said, this new plan from Vodafone is aimed at heavy voice-calling users as the data benefit is just 2GB. Do make a note that the telco is offering 250 minutes of voice calls per day and 1000 minutes per week, which is another letdown. But the validity of this prepaid plan makes it a winner because the telco has killed the basic talk time plans such as Rs 20, Rs 30 and so on. Diving into the details of this new prepaid plan, it offers a user unlimited voice calls- capped at 250 minutes per day and 1000 minutes per week. Furthermore, users will be allowed to make voice calls to only 100 unique numbers during the entire validity period. The plan also brings along 2GB of 4G/3G data which should be used during the entire validity period. And lastly, the highlight of this plan is the 56 days validity, which we haven’t seen with any of the prepaid plan in the past. Unfortunately, this plan doesn’t offer any SMS benefit, which is expected as the price of the plan is very minimal, but the validity is two months. Once after the daily limit on voice calling completes, users will be charged one paise per second. In addition, the voice calling benefit is applicable across the country and if Vodafone finds a non-commercial usage, then it has every right to revoke the prepaid plan on your mobile number. As mentioned above, it’s a segmented plan valid only for select users in select circles. Vodafone is setting up records in the last couple of weeks. Just a while back, it introduced a prepaid plan with a validity of 84 days under Rs 300, and now, it has come up with a plan under Rs 200 with 56 days validity. That being said, even Reliance Jio is not offering any plan with such long validity under Rs 200. No other telecom operator- BSNL, Bharti Airtel and Idea Cellular are currently offering the Rs 189 prepaid plan, but expect Airtel to come with a similar plan in the coming days. In other news, Reliance Jio has a prepaid plan of Rs 198 which will compete with Vodafone’s Rs 189 plan. Jio’s Rs 198 prepaid plan offers a whopping 56GB of 4G data, spread across 28 days which means it gives 2GB data per day. Jio is also providing unlimited voice calls without any FUP limit and 100 SMS per day. However, the validity of the plan is 28 days, unlike Vodafone’s which is 56 days. Another thing worth noting with the Rs 189 prepaid recharge of Vodafone is it can be availed only via Balance Deduction Mode. Even the recently launched Rs 279 can also be availed only through Balance Deduction Mode. Usually, Vodafone offers other prepaid plans via recharge and easy Top-Ups, but that’s not the case with this plan though. 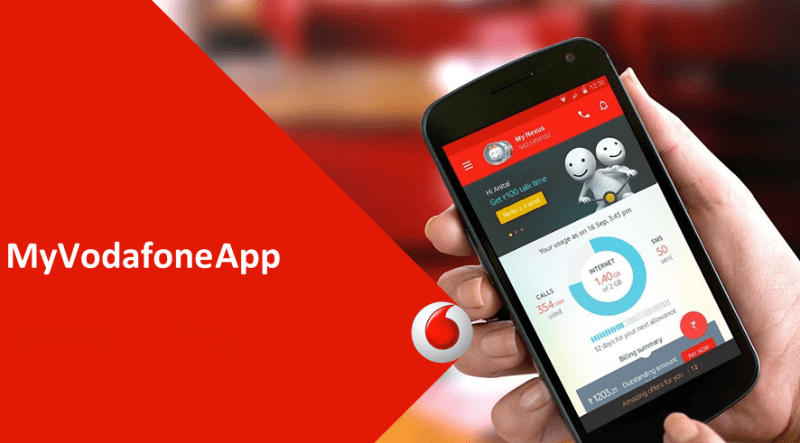 Vodafone has recently launched a prepaid plan with 84 days validity priced at just Rs 279. Like the Rs 189 plan, the Rs 279 plan doesn’t offer any text messages benefit, but it does offer unlimited voice calls and 4GB of data which should be used during the entire 84 days validity period. Vodafone-Idea concentrate on Data speeds instead of voice calls before its too late. How can you manually enable ca? awesome! 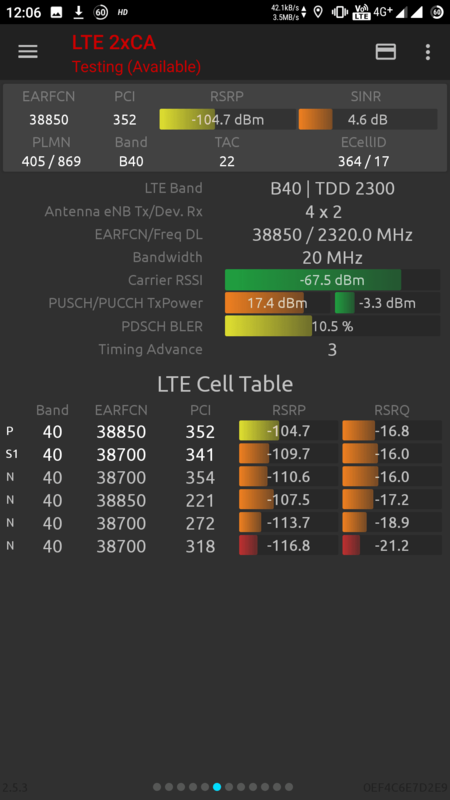 post a screenshot of a speedtest on netvelocity. 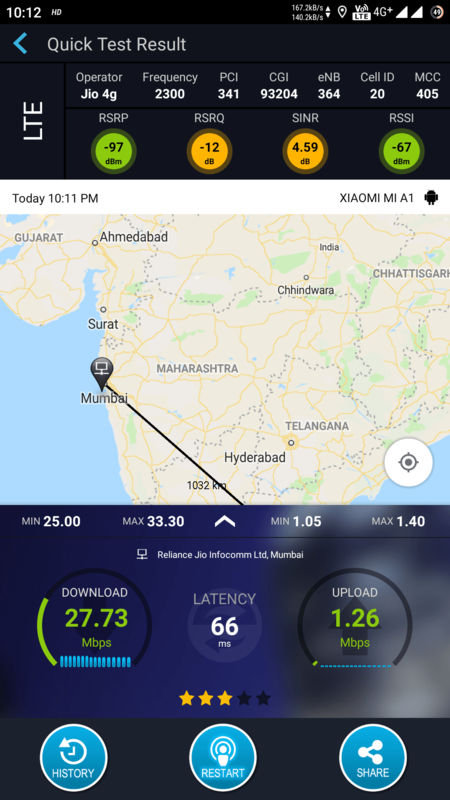 Would like to see how good Jio is, in your area.